Samsung has grown to be the most popular brand of smartphones. Currently, it has highest shares in the mobile sales. Their phones are known for their design, reliability, performance, and resale value. If you are replacing old Sony phone with new Samsung phone you may want to transfer data from your old phone. Even though both phones use Androids, data transfer could be tricky. You will face various issues. Part 3: Which Samsung phones are used in US? What are the common issues that plague users when transferring data between these two devices? Here is a look at all the common issues that you may or may not know about. 1. The data includes contacts, messages, audio, images, video, call logs and apps. This data are accessed by different applications. Transferring each data type is difficult unless a third party software is used. 2. You will have to transfer each data separately from one to another. 3. It requires understanding of each data format such contacts comes in vCards and message have .txt formats. 4. Transferring data at a time is time consuming. For instance, transferring contacts will require huge amount of time if you do not know how to transfer contact in vCard format. 5. You may also harm your phone, if the data files including malware are transferred. There many other issues, which you will face, while transferring data from your Sony to Samsung phone. But the good thing is there is an easy solution at hand. There is another easier way to transfer data between these two devices. While you will need to spend in a little, there is a lot that you can gain. With software like dr.fone - Switch, everything is easier. 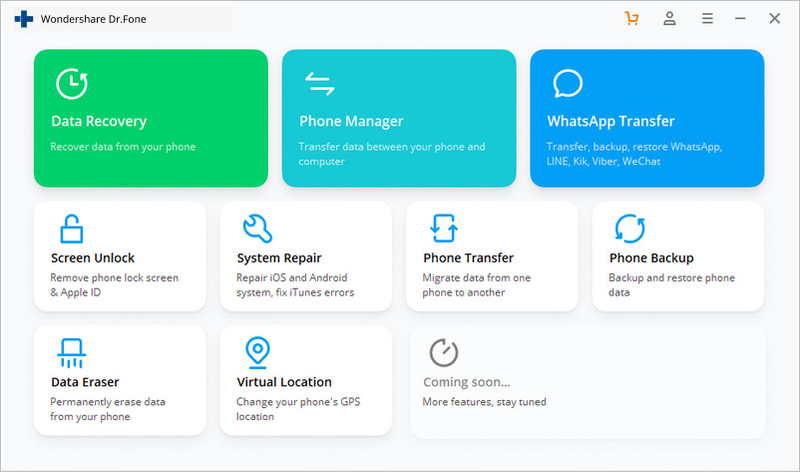 dr.fone - Switch is one click mobile data transfer software, which transfers data from one phone to other in one click. 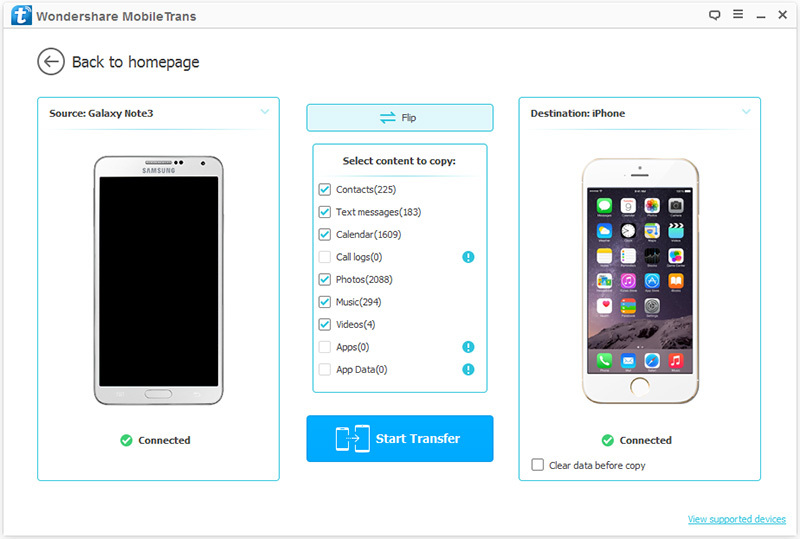 phone transfer data files like contacts, text messages, audio, video, calendar, apps, call logs and photos. Everything takes few minutes to the task. This method is completely risk free and hundred percent safe. 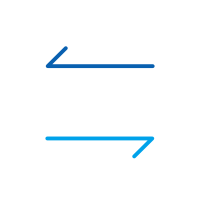 Great advantage of it is that it can perform data transfer between any operating system. How to Transfer data from Sony to Samsung Galaxy in 1 click! Easily transfer photos, videos, calendar, contacts, messages and music from Sony to Samsung. Launch the software on your Windows or Mac pc. Software for both OS is available. Now select the blue colored option, which is "Switch". Next, you will have to connect your both phones via USB cable. Use the cable of respective phones as they give the phones best connectivity. Wait for the Software to detect both of your phone. Now once detected, make sure the source is your Sony phone and the Destination is your new Samsung phone. 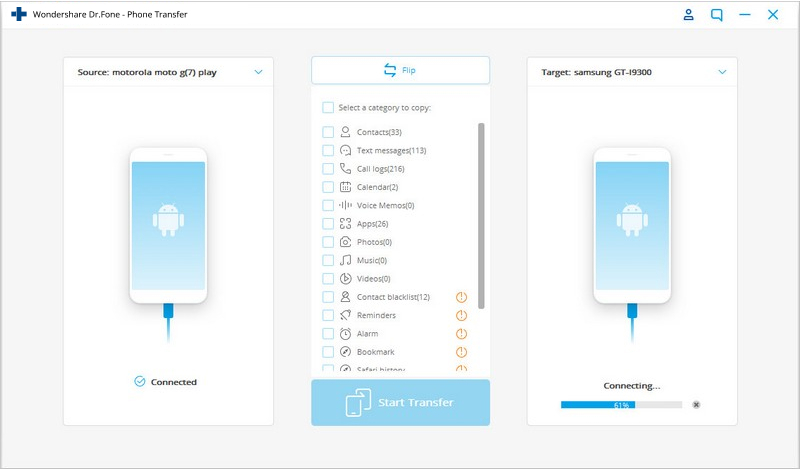 From the middle panel, select the data types you want to transfer to your Samsung. The numbers will be indicated besides each data types showing the number of contacts, messages, photos or others will be transferred. Once you are sure about the data you want to transfer just click on the Start Transfer. The Next dialog box appears and just initiate the process. Then dr.fone will start to transfer data from Sony to Samsung. A new window will show the transfer progress. Time taken for transfer depends on the size of the data. The Galaxy S6 Edge is one of the best phones and the S6 and S6 Edge can sell as much as 70 m phones this year. With great cameras, increased processing power and Samsung’s unique features, a lot is possible. The above-mentioned phones are the top Samsung phones presently available in US. These phones are known for their design, performance, and reliability. Samsung phones also have the best resell value among the smartphones. If you are looking to buy new Samsung, consider looking at this list for options. Learn how to save YouTube videos to camera roll in this informative guide. We have listed two foolproof ways to download YouTube videos to camera roll. 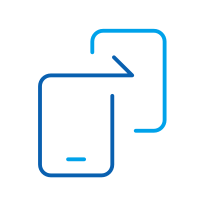 Through this article, we are going to discuss the top 4 methods on how to transfer photos from Android to Android, in a step by step manner.